Suria Atom was born in 1951 and spent her childhood years in a village in Thailand, near the border of Malaysia. From a very early age she worked at home, carrying out household chores. She suffered violence and abuse from her father, and later, from her husband whom she married at the age of 14. She was 19 years old when she first met the communists, and later joined the Communist Party of Malaya (CPM) that fought for the liberation of Malaya from the colonial rule. In the army, she was taught to read and write in Chinese and Malay. She spent 20 years in the guerilla army in the mountains, where she also worked as ‘barefoot doctor’, practicing traditional Chinese medicine. Lin Guan Ying, born in 1923 in China, is an old and senior Party member, married to a high-ranking member of the CPM. She joined the Party at the age of 18, together with everyone else in her village, as part of the resistance against the Japanese occupation – ‘I joined because the Party stood for the poorest of the poor’ (p. 57), she says. She was involved in the struggle against the Japanese and the British. For Lin Guan Yin, the Communists were both about fighting imperialism and about the liberation of women. Lin Guan Ying and Suria Atom are among the sixteen ex-guerilla women from Malaysia, Singapore and Thailand whose life stories make Life as the River Flows: Women in the Malayan Anti-Colonial Struggle. These women fought for nearly 40 years in the CPM and finally left the jungle bordering Malaysia and Thailand in 1989. Some came from educated middle-class families, others were very poor and did not attend school – they joined the guerillas illiterate and learned to read and write in the army; some were peasants and other came from urban families or immigrant families from China. Some knew little about politics and joined the CPM to support their fight for the poor, others came from highly politicised families and circles. What unites all the stories, however, is the extraordinary bravery of the women in the face of daily hardship and political dangers, both before joining the army, while in the forest with the guerillas, and after leaving the jungle in 1989 and settling in ‘Peace Villages’ in Southern Thailand. Many still do not have citizenship and can not return to their homes in Malaysia. The book, which is a fascinating collection of life stories, consists of two parallel narratives. The first one is that of the women themselves, their family backgrounds and their daily lives as daughters, wives, mothers, fighters and labourers. Although every story underwent some changes – from the original series of interviews, taken by the author, to translation into English, to shortening and editing for publication – Khoo's own voice in each story is kept to a minimum. Other than a background chapter and brief introduction to each following chapter, presenting the woman and sometimes also the context of the interview, or a short commentary on the story, the sixteen main chapters are about the words and the memories of the women themselves. 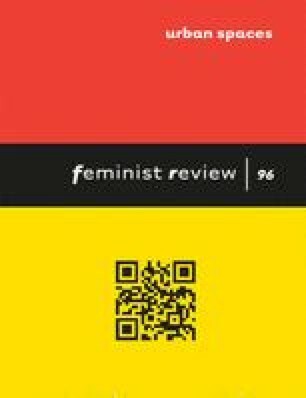 As such, the chapters are not just an attempt to tell the silenced story of anti-colonial struggle led by the CPM and these women's roles in it; they are also an illuminating account of the ways these women describe and interpret their own lives, personal relationships, and relations with the Party (for example, I found it surprising that while being sharp critics of the economic, social and political realities of capitalism and colonial rule, only very rarely did the women pass judgment on the Party). The second narrative is the story of the author, Agnes Khoo, herself. Born in Singapore in 1965 before independence, she knew little about the Communists of Malaya. When her father, a trade unionist, was arrested and branded a Communist, she wanted to learn who the Communists were, only to find silence and condemnation. Her primary school textbooks presented only the official history of Singapore and Malaysia's independence from the British, depicting the benefits of colonial rule and the ‘peacefulness’ of the decolonisation, and demonising the Communists as terrorists and evil beings. Years later, in the 1990s, learning about the Communist ex-guerillas who lived in Southern Thailand and could not return to their homes, Khoo decided to meet them to understand who they were, what they fought for, and why could they not return. ‘Perhaps, subconsciously, I researched the Communists in order to understand my own father's life and times’, writes Khoo, ‘It is also a search for myself, in order to find out what I am living for now. Perhaps, by leaning about my country's history through this group of exiles, I would find some of the answers’ (p. 26).